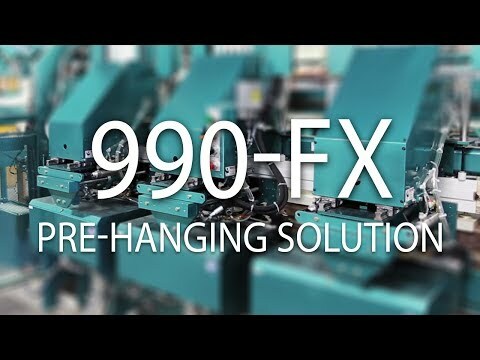 The 990-FX Pre-hanging System is one of the fastest pre-hanging solutions available in the industry: it is capable of processing 1000 doors per shift. It routes a door and jamb for three hinges, drills pilot holes for hinge screws, mortise for the lock, and finally applies three hinges, all in an incredible 20 seconds. The 990-FX is typically used in-line with the ON-3 Door Feeder, 700-C Frame Assembler, and 960-3 Strike Jamb Router. 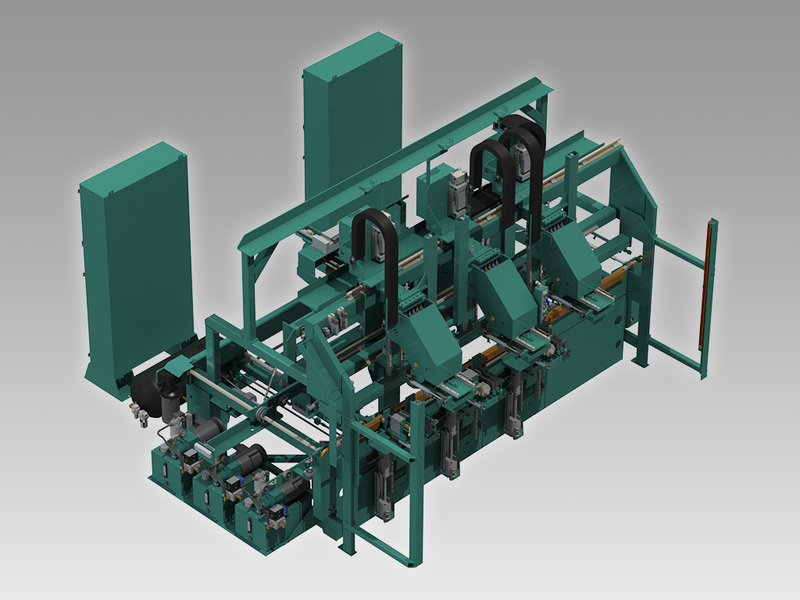 In the typical configuration the line is able to process 3 doors per minute. The latest generation of the 990-FX features upgraded hinge router cylinders and bearings, and now includes balancing cylinders to eliminate springs with all movements supported on 15mm & 25mm rail bearings with low volume air cleaning for long life. The new dust collection redesign places suction much closer to the hinge pocket to reduce accumulation. Width Adjust updates now enable door widths to be measured in the ON-3 conveyor, allowing the 990-FX to rapidly adjust to incoming doors without pause.